(TibetanReview.net, Jan09, 2015) – China’s democracy, whether in the case of the government or party, is based on the overriding dicta that the ruling hierarch should have the final say in both who the candidates are and who the final winner should win. Tibetan villagers in parts of Qinghai Province were made to realize this the hard way in Dec 2014 during local elections. Police and paramilitary police in at least two counties of Golog (Chinese: Guoluo) Prefecture in Qinghai Province have severely cracked down on Tibetans for failing to vote for candidates preferred by the local officials, detaining nearly 70 in one and beating one to death in the other, reported Radio Free Asia (Washington) Jan 7. Both the incidents occurred in Dec 2014. In Kyangchu village of Gade (Gande) County, officials threatened and abused a gathering of villagers on Dec 15 after they voted for a man named Samdrak, rather than any of the two other candidates they had demanded to see elected. And when the villagers sought to take the issue to the prefectural authorities, the officials called in the paramilitary People’s Armed Police Force and got nearly 70 of them detained. Forty of them were later released after being made to sign a document disavowing the People’s Benefit Association, a popular and respected grassroots group to which Samdrak belonged. About 20 others were released over the next 10 to 20 days after various forms of detention at different places. The authorities were said to have announced that three Tibetans, including Samdrak, who continued to remain in detention, would be charged. The other two have been named as Tenpa Gyal and Nyatri. Their families were reportedly being disallowed from bringing food to them. 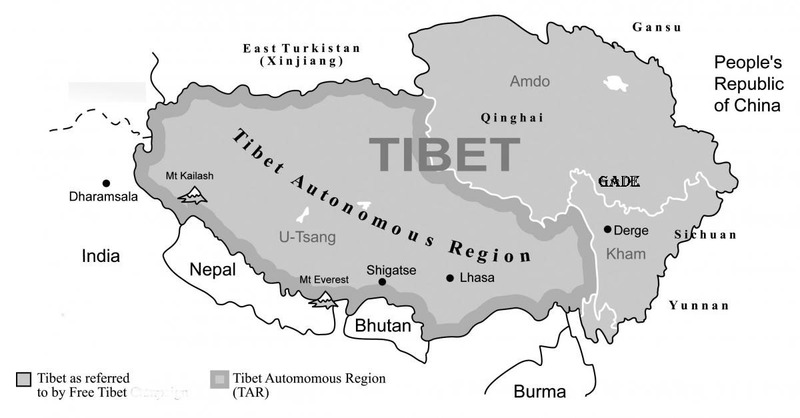 Earlier, on Dec 7, there was a similar incident in Tagthag Township of Darlag (Dari) County when the local Tibetans’ refusal to vote for a candidate named Tenkyab handpicked by the local authorities led to a clash, leading to a 22-year-old youth named Karmey being beaten to death and more than a dozen others, including those named as Tashi, Lokel, Ghangha and Ghangdo, being taken away. Karmey’s body was returned to his family the next day, with a “compensation” of 10,000 yuan (US$ 1,607) and on condition that the incident be not publicized. Tibetans were said to have protested in front of the county government offices, demanding justice for Karmey.